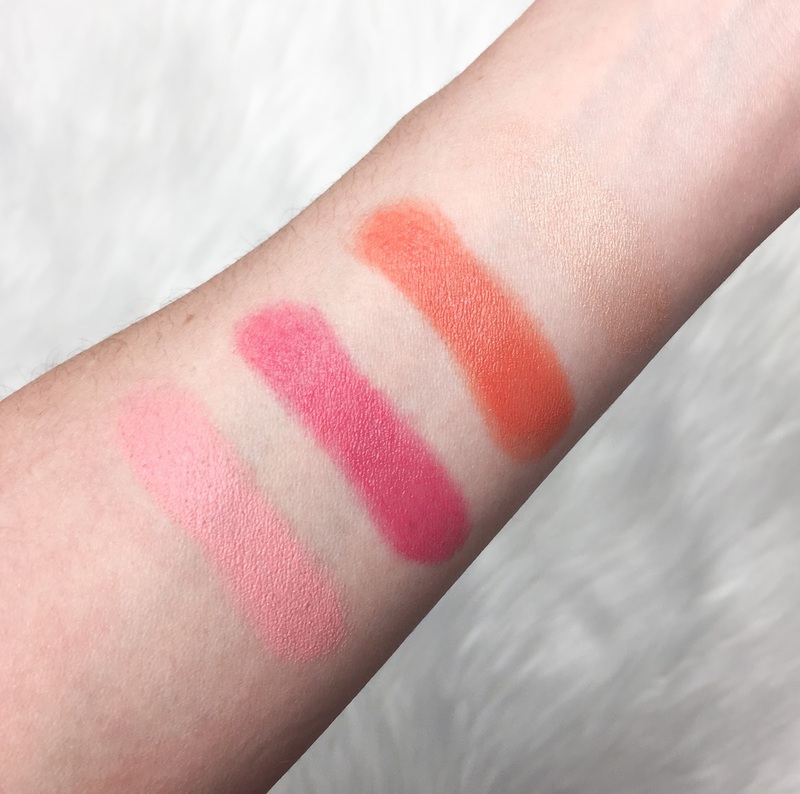 Sisley's Phyto Twist collection continues to expand now including these new Blush Sticks. I am already a huge fan of these and these for the line, and was thrilled to see a blush added. The texture is smooth and creamy without being too slippery or greasy on the skin. There are 4 shades currently that cover the range of neutral to bold, and they have a medium pigmentation that can be sheered out if desired. The bolder shades give a pop of color on the cheeks but it's simple to control without the risk of ending up with clown cheeks. My favorite is the pale pink (shade 01) though the coral looks beautiful and gives a fresh radiance to the cheek. The shimmering gold offers just the right amount of highlight for the cheek and the bright fuschia is my favorite to dab on the apples of the cheeks for a flushed look. The quality is what I would expect from Sisley and the stick glides on effortlessly on the skin and has the softest and smoothest feel when on the face. Though I typically advise though with combination skin like myself to move towards powder blush so as to avoid any additional shininess on the face, these wear beautifully with getting oily or greasy throughout the day. Those with drier skin will immediately love these and find them to be stunning on the cheeks. The swatches above are shade 1, 2, 3 and 4 from left to right. As you can see, the pigmentation is even and smooth as this was only one swatch on my arm.